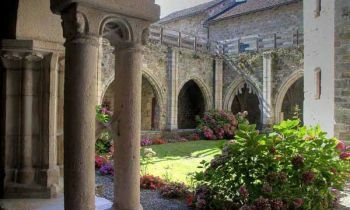 The villages awarded “most beautiful villages of France” or “Les plus Beaux Villages de France” share the same exacting ambition : to be known for their exceptional quality and possess a heritage that encourages you to discover it's history, culture and inhabitants. 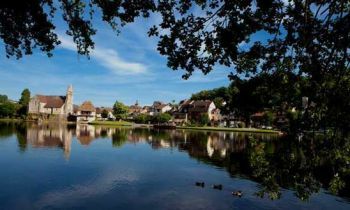 In the Dordogne Valley, there are, at minimum, 5 villages that have been awarded with this prestigious title. Autoire :Sitting next to a magnificent cascade of 30m2, there are a number of impressive homes and manors dotted along the streets, giving this beautiful village the well-deserved name of “mini-Versailles”. Between Figeac and Gramat, Autoire is a village that's crammed full of turrets and terracotta roofs that give you dramatic landscapes and a refreshing waterfall that will leave you simply mesmerised. 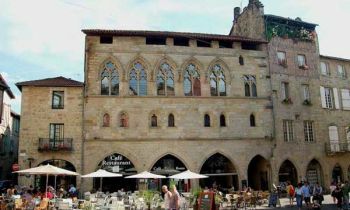 Carennac : With it's XI century priory and Renaissance houses dominating the banks of the Dordogne river, Carennac retains much of the charm of the Middle Ages. It boasts a remarkable 12th Century tympanum and nestles between two distinct yet incredibly different landscapes. From the vast stone table of the Causse du Gramat and the ever-flowing waters of the Dordogne River, this idyllic village rests in its veritable greenery as comfortably as it's contrasting aridity that the Causse provides. 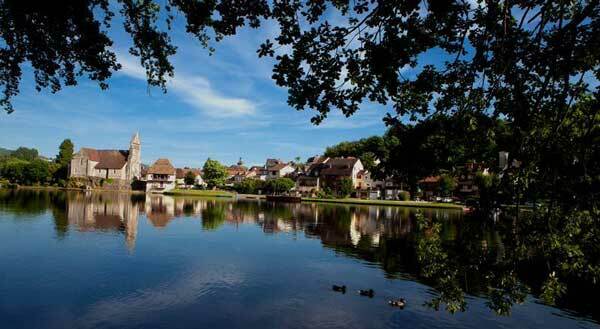 Sitting back from many of the major tourist trails, it's village provides you with a rich and relaxing experience that's crammed full of history and art. 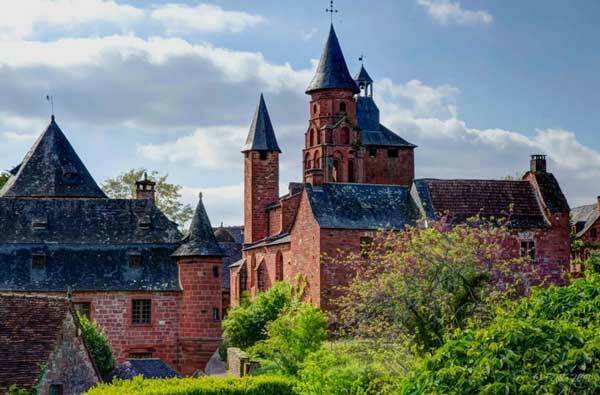 Collonges-la-Rouge : Built entirely from red sandstone and packed full of slate roofs, mansions, turrets and chateaux, it's beauty and richness is powerful to the point of overwhelming. 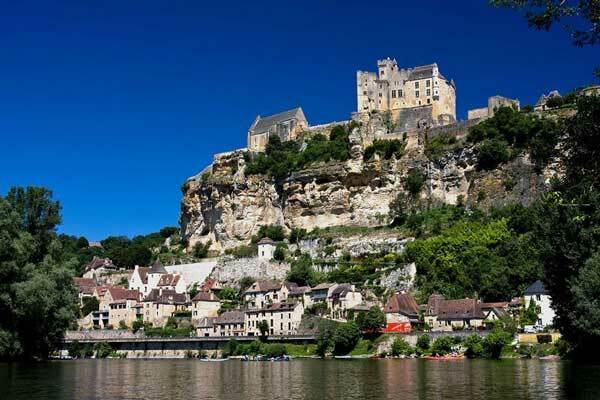 Surrounded by verdant nature, it's the Ruby of the Dordogne Valley that blazes brightly with its vibrant colour. Take a walk through the cobbled streets, visit the curiosity shops full of artists to artisans and splendour in its true French glory. 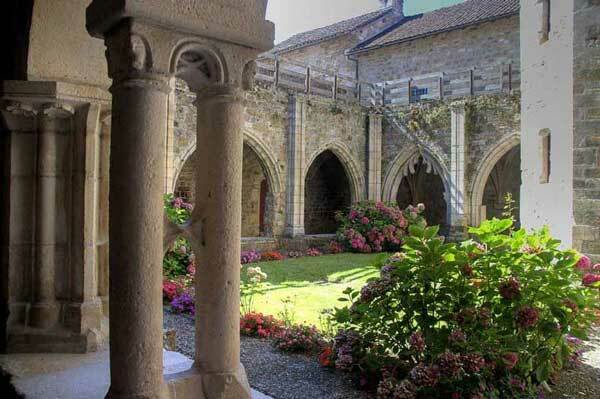 Curemonte :Proudly perched on one of the Dordogne Valley's dramatic ridgelines, this medieval village has an incredible three chateaux boasting towers and architectural treasures, as does it's three churches which include that of Saint-Hilaire la Combe, one of the most ancient in the region. 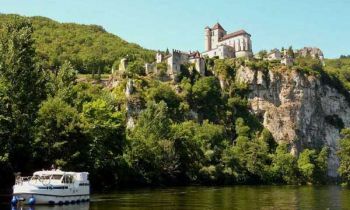 At the very Southern end of the Correze and on the borders of the Lot, Curemonte meanders along its ridge line, overlooking the Doudoire and Maumont valleys. 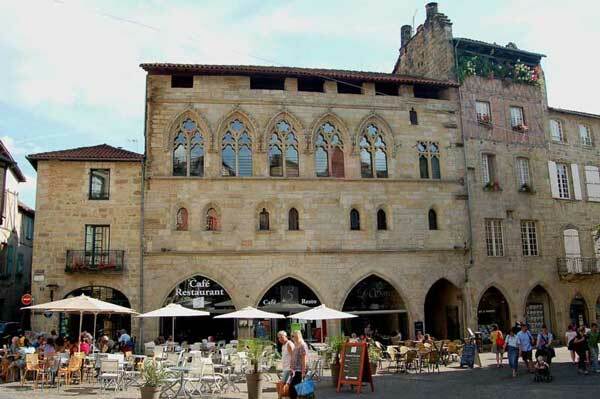 With its market hall dating back from the beginning of the 19th Century, housing from the 16th Century and a 12th Century Roman Romanesque church, this beautifully preserved village has to be worth the trip. 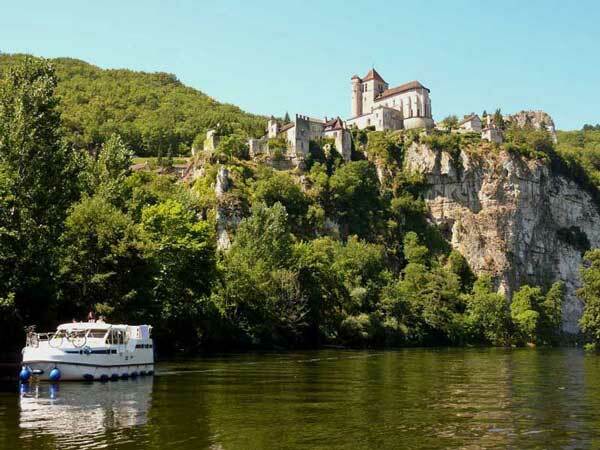 Loubressac :Built on the brow of a rocky hillside and overlooking the Dordogne Valley, Loubressac boasts panoramic & far reaching views across to the Chateau at Castelnau-Bretenoux. 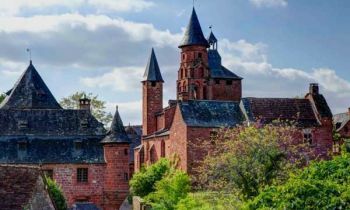 Radiating charm and character with it's medieval houses and ocher coloured stone, you'll discover the Church of St John the Baptist along with a castle and manor house dating back to the XV and XV111 Centuries. From North to West, any which direction that you'll look over, you'll be received by the warmest of welcomes from its harmonious landscapes and intrinsic riches. 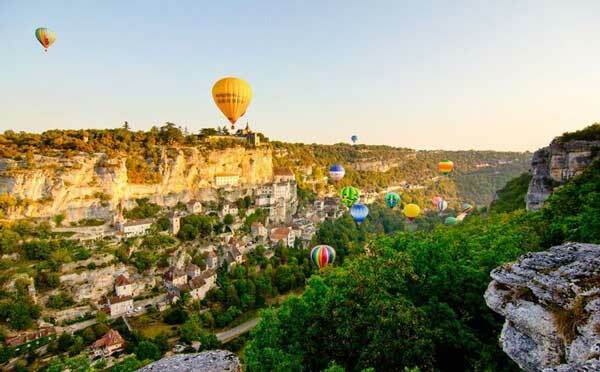 From the foothills to the pinnacle of each hilltop in this varied and unspoilt region, the Dordogne valley provides you with a multitude of gems to visit and embrace. 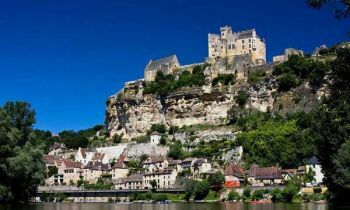 Be bowled over by the town of Saint-Céré, visit the heartstoppingly beautiful Turenne or Castelnau, meander through Saint-Laurent or Montal. They're all offering a gentle lifestyle for the duration of your visit with architectural twists and turns to take you by surprise and to enjoy. All, without exception, are worth their visit!